Friday so Harvey has the whole day at home with me. 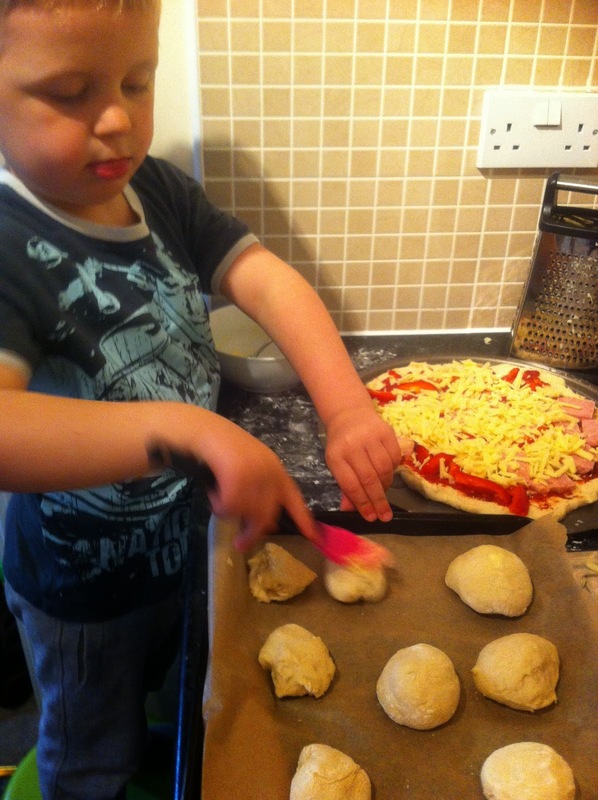 On the way home from dropping Alyssa to school, he informed me that we needed to make pizza. Ok, why not?! 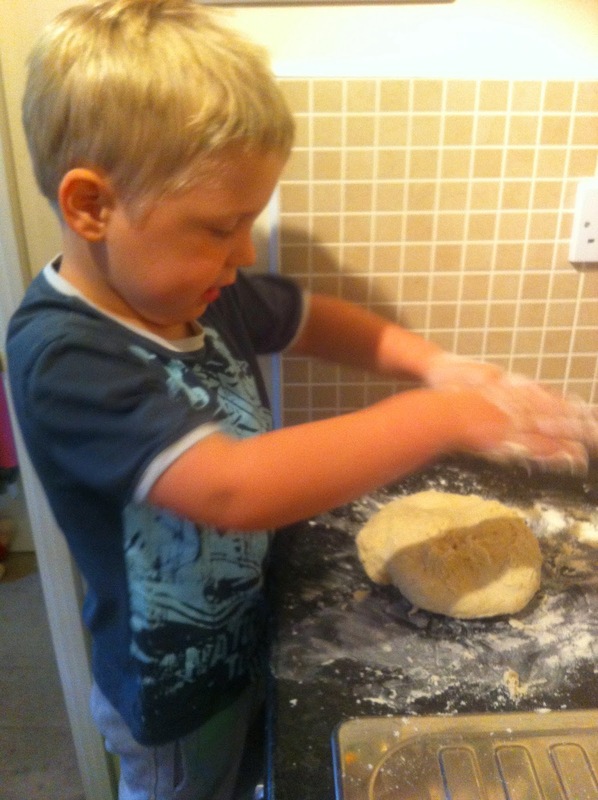 I then took the opportunity to actually make some bread by hand with him too. 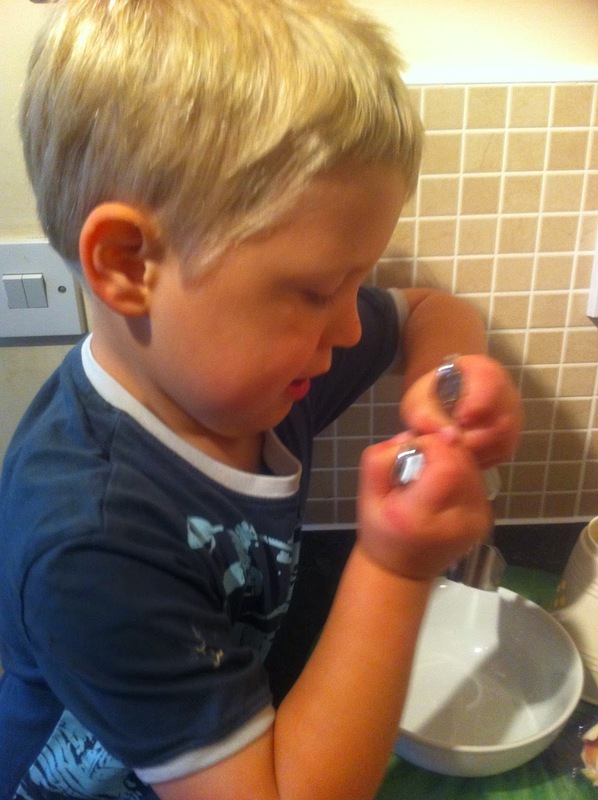 He really loves getting messy so he thought this was a fantastic task. He particularly enjoyed the kneading process too. We used it as a bit of a lesson too with measuring and weighing. 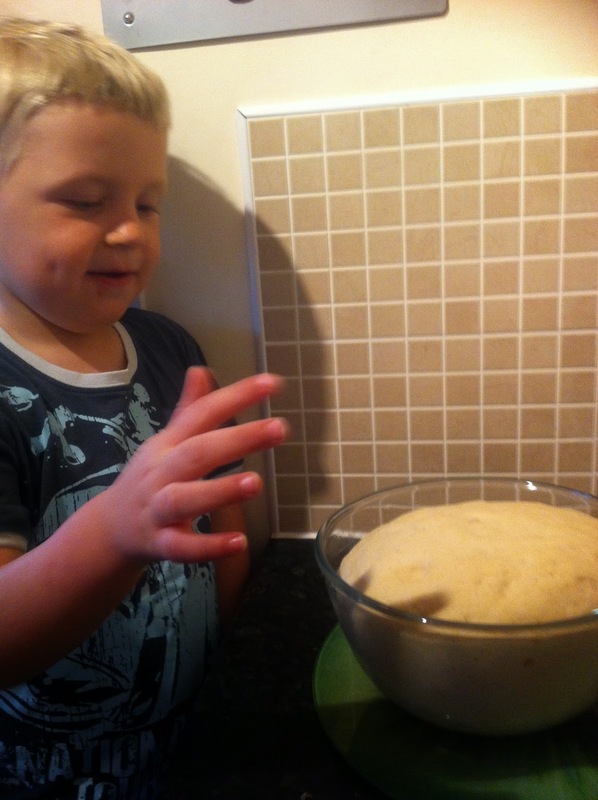 He loved seeing what the yeast did to the mixture and how, when we left it alone, it grew and grew and grew! 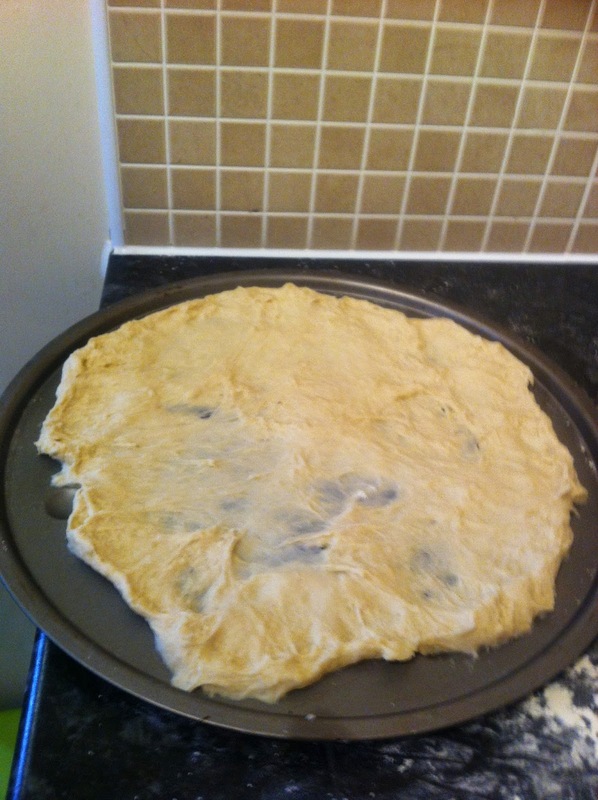 Once the breadmaker had done its job, we spread half the dough onto a pizza pan. Think it's safe to say that we won't be much competition to the local pizzerias. 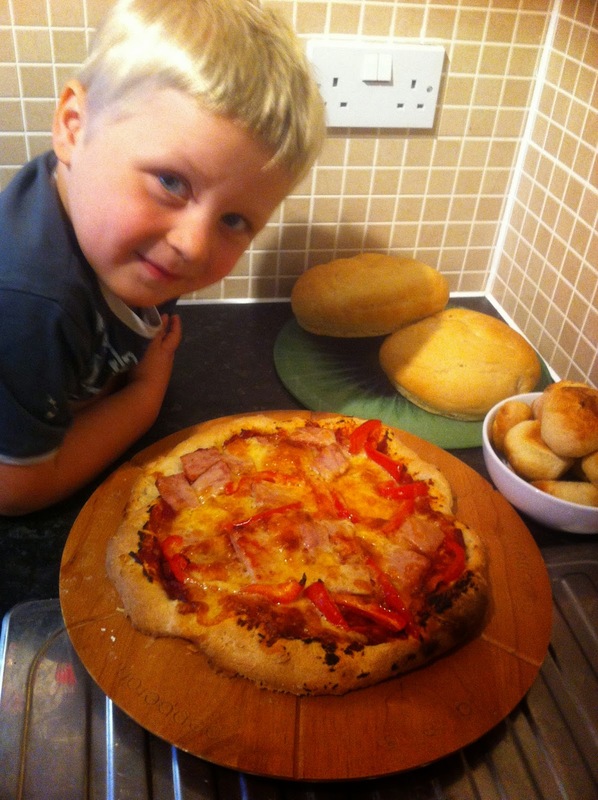 Harvey smothered the base with tomato puree and then we chopped up some leftover ham and part of a pepper. I do love making use of things already in the fridge. Waste not, want not. "Why are we putting cat meat on the pizza?" "Ahhhhhhh......good.....cos I'm not a cat." 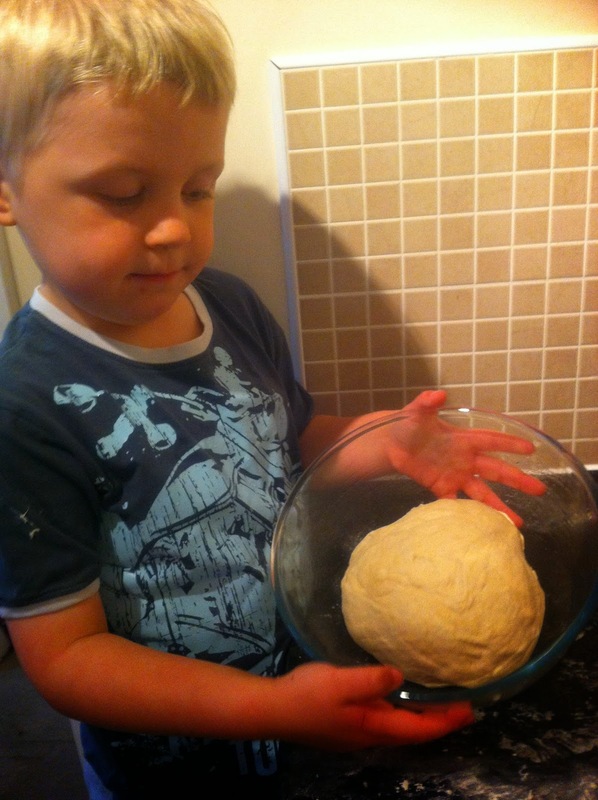 With the other half of the dough, we made some garlic dough balls. 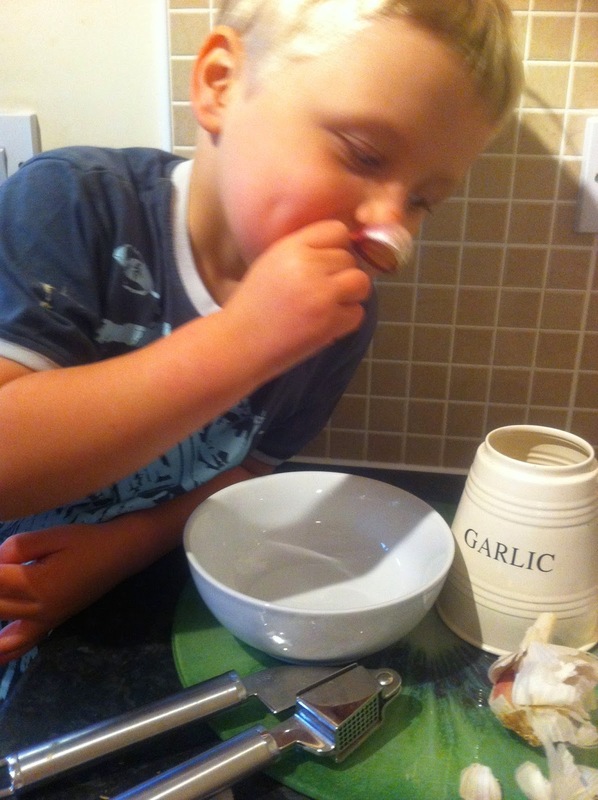 Bit of butter mashed into a crushed clove of garlic and then we just brushed it onto the balls. Very easy and absolutely delicious. avoiding the washing up and having a nap after such a busy 'dough' day. 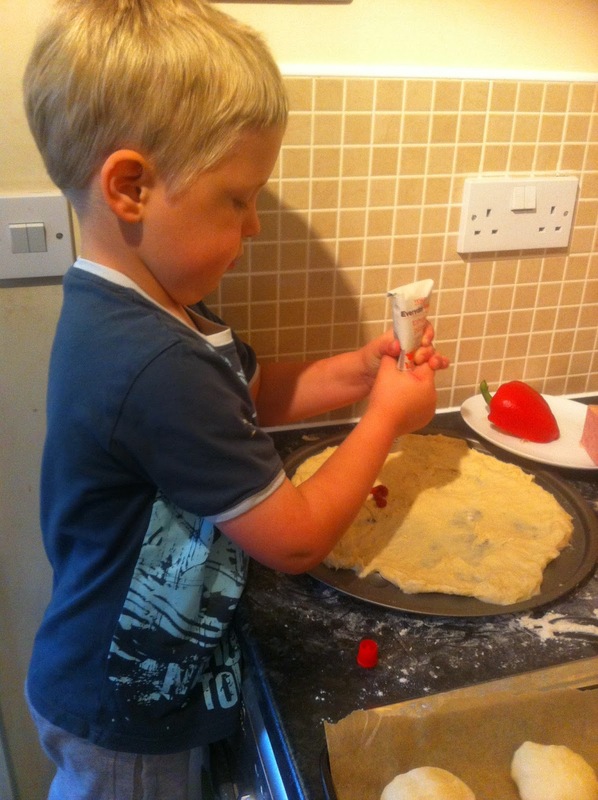 Looks like a fab way to keep a little one entertained (adding to the to-do list! )- love the concentration going on! Good job! It's great to use the machine and do it by hand as you can teach the differences and really see the whole process! Sounds like you had a brilliant time, and £6?? 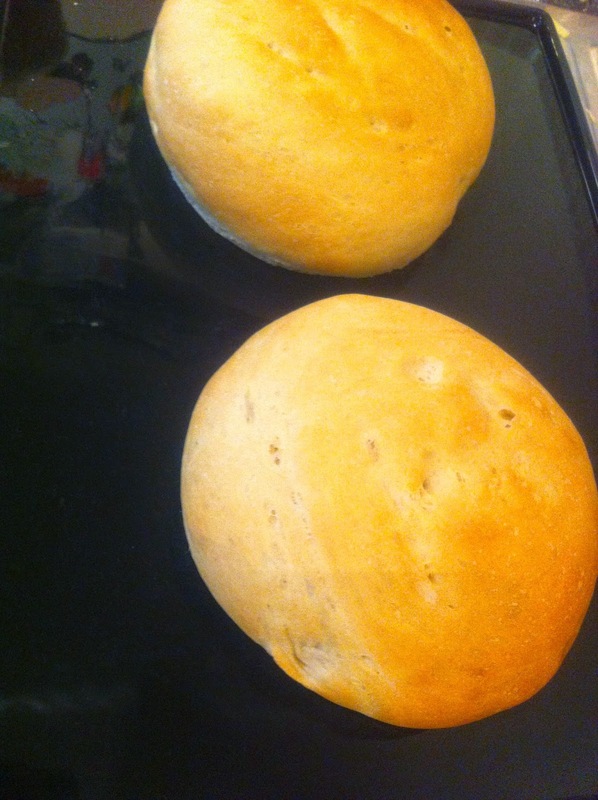 I need to spend more time on ebay, I've fancied a bread maker for a while! Excellent! I miss my bread machine but we are gluten free now and it works better by hand. 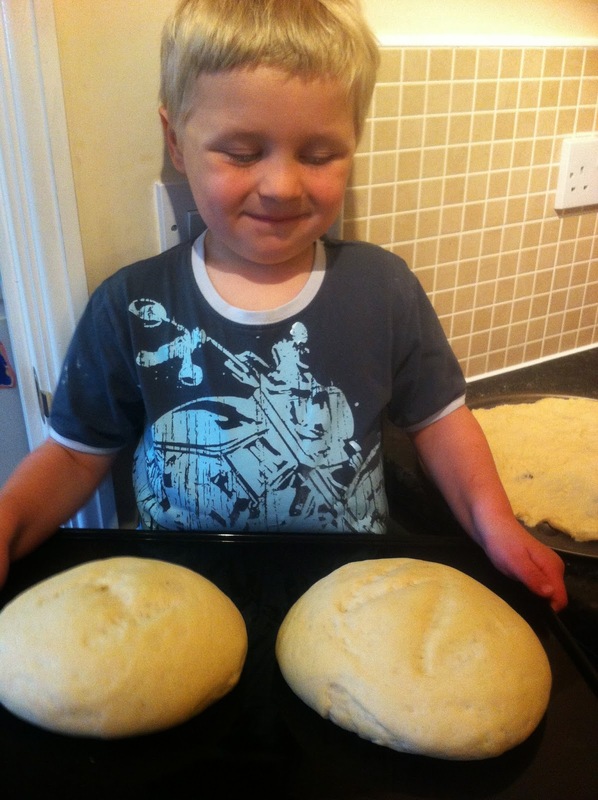 Your little chap looks rightly proud of his efforts! We are going to do this one night this week! 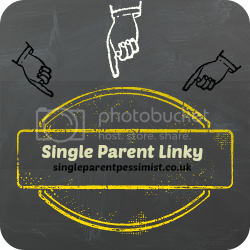 This is a wonderful idea to spend time with children. I am looking forward to doing this with Max when he is a little older. You have a young baker growing up.